The following letter from H.P. Blavatsky to W.Q. Judge is dated May 1st, 1885. From a chronological point of view, it is the first of the Andover-Harvard letters from Blavatsky to Judge, which have been transcribed by Mr. Michael Gomes and published with his commentaries during the 1990s at “Theosophical History” magazine. Honest archivists and librarians do most important tasks. Yet not all of them allow themselves to study theosophy from the point of view of “the doctrine of the heart”, which would liberate them from “the doctrine of the eye” and pseudo-esotericism. One small event illustrates the fact: while correctly copying the text of the following letter, the compiler failed to understand its contents and therefore says that it “may be regarded as part of their damage control”. In fact, H.P.B. did not care for politics or “damage control techniques”. Her utter sincerity was often uncomfortable to others. She paid the price for that. This letter to Judge was obviously written from her heart, and is not the result of any sort of political calculation. The person to whom H.P.B. most refers in the letter - “than whom no one in the world, not even the Coulombs or the padris, has done us and me such harm” - is Dr. Franz Hartmann. Some students might tend to disagree with H.P.B.’s severe statements about Hartmann. They could argue that years later Hartmann received a few letters from H.P.B. with profound compliments to him. They were published after H.P.B.’s death. Yet the argument is false for there are no indications that those letters could be authentic. In fact, many elements of information indicate otherwise. Among them, we see these two, which are stated by H.P.B. in the following letter: 1) Hartmann was a liar; and 2) He himself admitted to theosophists in India that he had forged letters. Besides, H.P.B. rarely made any personal compliments to anyone. Much less so to Hartmann, of course. It is true that in his autobiography Dr. Hartmann published parts of letters he supposedly received from Mahatmas. In these excerpts “Masters” are made to express their “blessings” to him - and they show a pronounced admiration for Hartmann’s personal or lower self qualities and talents. The reality is that, just as H.P.B., Mahatmas never sent letters with any emphatic personal compliments to students or disciples. Masters and Disciples are not in the business of flattering personalities. Hartmann is therefore not an acceptable source of letters from Mahatmas, or from H.P.B. There seems to be two references to doctor Hartmann in the Mahatma Letters, and both are indications that Hartmann was far from deserving “compliments” from Masters. One of the passages can be found at letter LXV, dated “summer 1884”. In it the Master says Hartmann “hates” Damodar Mavalankar. This is enough to show that Hartmann was not in harmony with the work of the Mahatmas. The solemn Law among co-disciples is mutual respect and mutual help in all possible ways, and Hartmann was in intense conflict with, and developing aggressive unethical actions against, Damodar - one of the best chelas known in the history of the theosophical movement. As to Helena Blavatsky, her physical organism was highly apt to perceive subtle energies, and she confessed she could not bear the sickening magnetism of Dr. Hartmann’s presence. H.P.B.’s perceptions were shared by a Sage much wiser than her. “There is no religion higher than truth”. Massive indications that Dr. Hartmann was not in tune with HPB, the Masters or truthfulness can also be found in his satiric novel “The Talking Image of Urur”. Franz Hartmann undoubtedly had positive accomplishments. He was a complex man who also did helpful actions. These, of course, made it possible for him to be accepted in the movement, and also made HPB and the Masters have a balanced position with regard to him. Because of this, once Hartmann’s real role was identified during the Adyar crisis of 1884-85, it was a rather difficult operation to make him leave Adyar. H.P.B. narrates such difficulties in the letter below. Hartmann wrote a “Theosophical Fable” which was favorably commented by H.P.B. Yet in the fable he makes two mistakes: 1) Foresees H.P.B’s “destruction” and 2) Announces the end of the theosophical movement. Hartmann was wrong in both negative predictions, and his dark views of the future had no connection to reality. The fact that Franz Hartmann had a confusing, ambiguous view of all ethical matters can be seen in his letter entitled “The Clash of Opinion”, published at “Lucifer” magazine in January 1895, p. 427-428. While commenting on the situation created by the political persecution against William Judge, which was then being organized by Annie Besant, Hartmann writes that in his opinion it does not matter whether letters received from Mahatmas are genuine or false (p. 428). He pretends to defend Judge in the same way he acted regarding H.P.B. -; that is, by saying, in other words, that “it is all the same whether our leaders are frauds or not, as long as we study theosophy”. He wants people to ignore that only honest methods and actions enable an individual to have discernment and see truth. The matter of the fact is that liars blind themselves to truth, and no movement based on fraud can ever have any legitimacy. Perhaps due to the criterion of affinity, also in 1895 Franz Hartmann was helping translate into German Annie Besant’s adulterated version of “The Secret Doctrine”. “He [F. Hartmann] cares not a fig for the Cause, the T.S. or even the Masters…”. As to William Judge, he admitted his mistake as soon as he received H.P.B.’s letter. From that moment on, he fully cooperated with H.P.B. After her death in 1891, Judge played a key role in preserving the theosophical movement and its original teachings. In the letter below, underlined words are so according to the transcription published by “Theosophical History”, with one exception. In the magazine’s transcription, a few words are not only underlined by a single line, but with a double line. We ignore the difference. A question mark in square brackets - [?] - means that the transcriber was in doubt as to the word in the originals. Words in brackets followed by question marks are attempts by the transcriber to guess the word in the original. We add explanatory notes to some passages in H.P.B.’s letter. “The Friendly Philosopher”, by Robert Crosbie, Theosophy Company, Los Angeles, 1945, 416 pp., see p. 162. 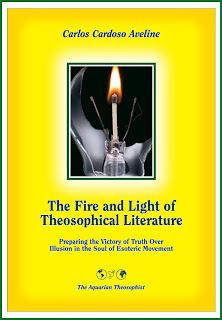 The present letter is reproduced from “Theosophical History”, Vol. V, Number 2, April 1994, pp. 50-58. We incorporate in the text the corrections to it indicated by its transcriber, Michael Gomes, in the October 1994 edition of the magazine (p. 123). See p. 49 in “Theosophical History”, April 1994. “Damodar”, by Sven Eek, TPH, India, 1965-1978, 720 pp., pp. 601-606, especially 601-603. “The Mahatma Letters to A.P. Sinnett”, TUP, Pasadena, California, p. 363. “Letters of H. P. Blavatsky to A.P. Sinnett”, TUP, Pasadena, Letter L, p. 121. 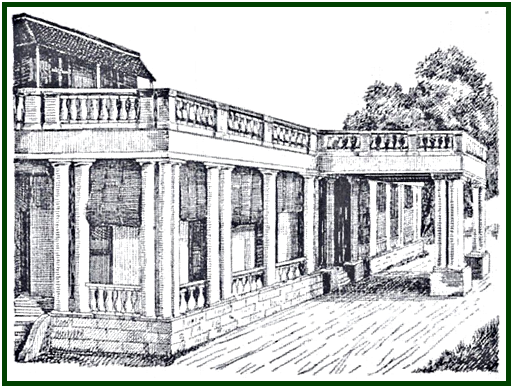 “On Pseudo-Theosophy”, an article in “Theosophical Articles”, by H.P.B., Theosophy Co., Los Angeles, volume I, p. 162. See “Lucifer” magazine, December 1888, p. 300. “Letters of H. P. Blavatsky to A.P. Sinnett”, TUP, pp. 118-119. “The Letters of H. P. Blavatsky to A.P. Sinnett”, TUP, Letter LXIII, p. 159. “Letters of H.P. Blavatsky to A.P. Sinnett”, TUP, p. 105. “Damodar”, by Sven Eek, p. cit., p. 611. Hotel del Vesuvio, 1 May, 1885. There was a time that I regarded you as a true friend, & after your short note, or postal card, from London I have no reason yet to regard you otherwise. Still everything you said, say & did, would give me the right to think that there is a great change in you. For this change I do not blame you but other people, much as I may deplore it. However it may be, I write confiding in your honour as a gentleman not to betray that which I will have to say, for if you do, it will be of no profit to you, but will only add to the heap of abuse showered upon me, and this is not what would give you any profit or pleasure. Therefore, trusting in your honour if it were only for the sake of your past friendship I will narrate to you a legend, the morals of which is left to you to add or infer from. Look at my address, and it will show to you that I am in the same bag with you, the victim of one & same man, than whom, no one in the world, not even the Coulombs or the padris has done us and me such harm. You left Adyar because he wanted to get rid of you - (sic, these are his own words); and I left because at the very moment when we were going to triumph, he lied so infernally that he upset in one day the work of truth & justice and, if he did not ruin the Society (for no one in heaven or hell can do so, except the Masters) it was because I sacrificed myself, and going away into voluntary exile, took him away with me. And he went with me, because he cares not a fig for the Cause, the T.S. or even the Masters, and that as he is jealous of everyone having any relation with, or attention from Them so the one thing he longs for is to pump out of me all the knowledge he can, and is determined to become an Occultist and an Occult literateur at my expense. All this is riddle for you, is it? Listen. To begin with: if I did not write to you (or Olcott either) it is not because, as you satirically remark in your letter to him of Feb. 25th - (which he received at Naples and gave to me, I have it before me) - we received “orders” from Master “not to write” to you, and that it would be in the case we told him so a “fabrication of one or both” - but because from Jan. 14 to April 1st I was on my death-bed, doctors & all in the H. Quarters expecting me to die every moment; and Olcott because, owing to the infernal intrigues of several theosophists - he was all that time on the verge of committing suicide. It is Master who saved me (something miraculous to the Doctors) and who ordered Olcott to be a man and take the whole as his Karma. This is why, my dear Judge we wrote “not a word” since we got back on December the 25th. Indeed, indeed, you must be thoroughly under his influence yet, since you think and say of your best & truest friends, what you do in this letter to the Doctor! Listen Judge, and see the difference between us two. When I received that horrid letter from your own brother  , several from Harris and one from Mrs. Billing, instead of believing in the shameful story as told by them about you & your drama with Mrs. B.’s daughter I concealed it from Olcott, then two months later [gave ?] it to him to read, as ordered by Master and he & I said “We shall not believe it unless told so by Master.” When in London, a week before leaving for India - about the last days in October Mrs. Hollis Billing gave me to read your letters - to her & her daughter I would not read them and when she left one with me “to keep” I never opened it, shut it in an envelope and put it away with other documents that are kept with Olcott. Now, it is no reason why, only because Master kept silent, and did not corroborate Mrs. H. Billing’s & Harris’ accusation that you should not be guilty of what they said. For Master lets us know rarely the truth leaving all the events to take their natural course, never interfering - unless it becomes quite necessary - with people’s Karma and having his own ways for his own purposes. But we would not and will not believe in any infamy said against a friend. I spoke to you about this at Paris. Neither Olcott nor I will ever turn against you. If the Doctor, “the much despised (?) Doctor” told you that either Olcott or I have spoken to him about the money borrowed by you from Damodar in any other way but casually mentioning it - he lies. It is he who spoke to us, to me repeatedly what a liar you were; that you had given out that you had not only wife but children; that you who had called Mohini & Damodar & Subba Row etc. liars were the biggest liar yourself; that you were a fool & a conceited one, but that he has so cleverly got rid of you that we all had to thank him. To Lane Fox  he wrote a letter, which I saw in London, that you had gone away from Adyar because you became certain of my fraud and lost all your faith in Masters etc. To me and others he repeated heaven knows how many times that you had said that you were brought from America by fraud; that some letter to you from Master was a forgery of Damodar or of myself; that the “orders” received at Paris was a forgery of Mohini, myself or Olcott etc, etc, etc. If he made you believe all this or if led you by other means & insinuation to believe it, then you are indeed under dugpa influence. Yet you believed and said anything about us, while we remained always true to you, and if Olcott has anything against you in his heart, as well as myself - it is only profound sorrow for the loss of one whom we have ever regarded as a staunch & true friend. This is the difference between us Judge. Now that I have resigned (owing to the same intrigues) my office of a Corres. Secy of the T.S. and as good as severed my connection with it, in order to save it, - I have no motive to tell you anything but the truth. You call Damodar a liar. He is a Hindu, a chela, secretive, cautious & trembling to say more than he is permitted. Never a purer, nobler or more self-sacrificing soul breathed on this earth. If he refused you at first the money it is because he was in despair that you should leave us at such a moment. He really did not have the sum in the house but got it for you. This I know. He said to Colonel that he felt finally obliged to furnish you with the 500 (?) or 600 rupees (I forget which) because you were one of the Founders, had worked loyally in defending me & the Society, and that you were entitled to it. Neither Olcott nor I look upon the transaction as “borrowing” but as something due to you. These are our words to Hartmann & if he tells anything else he lies. Olcott said simply that it was not Damodar’s business but that of the Board of Control to have ordered the [sum ?] to be handed to you. He never blamed Doctor H., never reproached him with anything, but the Doctor hating him would like to turn everyone against him. He made me lose the friendship of more than one friend, wrote to Hume  , etc. against me, while pretending to defend me, and his article in the “Bombay Gazette” was infamous - so much indeed, that even the editor published an editorial remark that “if such are Mme. B.’s friends what must be her enemies”, and that he himself (H.) when pasting it into the scrap-book cut out the foul insinuating paragraph from his letter. The man is most intelligent or rather intellectual, cunning, crafty, having no feeling for any one, or anything & is hundred times more dangerous than the Coulombs. He has all the stuff needed to make a black magician in him. That is why I refuse to enlighten or give him information. Now this is what he said to Mrs. Cooper Oakley who told me of it. Whether true or not I leave you to judge. When the C. Oakleys came to Adyar they were my most devoted friends. Then from the first days, he entered into their confidence & [made ?] such friendship with them that soon the Doctor became all that is good & wise, & me everything bad. Came Hume, & remained two days friendly with me after which he turned back on me owing to what the three said. I was sick & dying and left alone day after day, Olcott being in Burmah, and Damodar, driven to despair by Hartmann’s insults & intrigues having left Adyar & gone to Sikkhim to see the Avatar Lama, then just arrived & going with him to Tibet. Where he is now I do not know; but I hope he is happier than I am. Well the wiseacres having put their heads together, Hume decided to call the Gen. Council, and then gave Ragunath Row & Subramaniya Iyer a paper in which it was proposed that Olcott, I, Damodar, Ananda, Bhawani Row, Nivaran Babu, Mohini, etc. should be forced to resign since they believed or pretended to believe in non existing Masters & fraudulent phenomena, and the Society incorporated & entirely reformed under the management of Hume, Hartmann, the Oakleys, and a few Hindus. Dewan Bahadur who was elected chairman, and all others - (Subba Row, Sreenevas Row, Ramaiyer, Subramania Iyer, etc. Dewan Bahadur especially) laughed the paper & proposal to scorn. They declared that they did not believe me guilty, that the Society without its President Founder, so long as the latter was alive, was unthinkable, that, in short, they would never consent to enter in his absence into such a mean conspiracy against Olcott & myself who was upstairs dying. They all came to see me and the little plot fell to pieces. I telegraphed to Olcott to return and had a relapse. In this, Doctor H. unable to conceal that he took a prominent part wants me now to believe that he only voted my resignation as an executive officer, so as to save me from any responsibility in the Society’s management. Lane Fox who had returned & gone before this final coup de theatre, had also attempted to take the Society in his hands: proposed an executive committee with himself, composed of Europeans, this committee having alone the right to govern Olcott and even to appoint new officers in the office - i.e. to turn out Damodar, Ananda, Bawajee, Nivaran etc. He wanted me to sign it, and when I said I would not without Olcott, he said (so Hartmann tells me & Bawajee now, at least) that if we did not do what he wanted us to, that he would go to Grant Duff , tell him we were a political Society & for the rest a humbug and make him force all the Hindus to resign!! Nice theosophists, the lot of those Europeans. Now to this day I be hung if I have arrived at any definite conclusion as to what part the Oakleys played in this conspiracy. That they were for a time under H.’s  influence - is sure. Yet all the time, while advising me to perform “the noble act of sacrificing myself for the good of the Cause” i.e. resigning, she assured me that she loved me as much as ever, believed in the Masters implicitly & finally confessed to me, that having been taken in by the Doctor for a short time, after catching him in thousand & one lies she was acting a part with him and had caught him. She said he was in love with her, & I believed it myself (though now I know he hates her). He had told her & her husband in confidence, laughing and as a good joke, she said - how he contrived to get rid of you. He had written a bogus letter to you supposed to come from a Mahatma? (neither Master nor K.H.) & that when you were alone with him he let it drop on your nose (sic). The letter advising you to go away etc. he prevailed upon you to quit Adyar. Now is this true or false I do not know. That he said so to Mrs. O. I am sure, for she could not have invented the thing, but whether he (H.) told a fact or a lie it is known but to yourself. The result was all that ensued. You know that Hodgson was sent by the London Society for Psychical Research, to which Olcott was fool enough to tell every possible and impossible phenomenon that he ever witnessed, and which, since it published these facts, after the Coulombs’ lies, was entitled to investigate the truth or falsehood of our allegations. So Mr. Hodgson came to Adyar. Hartmann began by setting him against Subba Row, Bawajee, Damodar, etc. telling him that they all “awful liars”, thus prejudicing Hodgson against the chief witnesses. Then he, the Doctor testified to him that the shrine had been stolen from Damodar’s room; seriously & earnestly in the presence of numerous witnesses, he asked Hodgson to look about him when he went to the Coulombs, to see whether he would not find it hidden somewhere, for it was surely either Coulomb or the missionaries who had stolen it. He even went so far in his lying as to show Hodgson the imprint of feet & hands on the walls under Damodar’s window. Well when the Coul. & padris had set, well with false & paid witnesses, Hodgson against us, the latter putting his wise head together with Hume’s head evolved a theory. It was I, HPB, who had sent Baboola  from London home to Adyar, with orders to make away with the compromising shrine. This Hodgson had written in his Report already, when Hartmann who had confessed already to Mrs. Oakley that it was he who had burned the shrine got frightened and taking Hodgson to his room showed him the two velvet doors under his mattress where he had kept them concealed for months and said that he had burnt this, for the shrine had been desecrated. He said to Hodgson that it was you and him and Bawajee who burnt the shrine. Bawajee denies it & says you will understand what he means. Result: his defence of me in the pamphlet against the Coulombs, all he ever said in my & the Society’s favour, all, all, became annihilated. He was proclaimed by Hodgson the biggest liar and one who had evidently helped me in my fraud!! He says it was to save me from a false accusation. I say he has two men in him. One highly intellectual, fit for an occultist, a man of the highest intention, the other cunning, lying, possessed by a Dugpa, in short. There is no reliance to be placed upon him. Today he is apparently a friend, an hour later he coolly damns you with one of his infernally cunning lies. He is either an irresponsible sensitive medium or - the most dangerous, heartless rascal one can meet. I prefer the former conclusion, for otherwise Master would have never written to him, never pronounced Himself satisfied with some of his doings. But the fact remains the same: no one ought to trust him. Thus he spoilt all and ruined the Society. He frightened Subba Row out of his senses by telling him that Garstin  had proclaimed to the Oakleys & Hodgson at dinner at his house that Subba Row being my friend was suspected by Gov’t to be my accomplice in the “Russian spy” business; he made me lose the friendship of Khandalavala, of Niblett, of Lane Fox (against whom he has now turned himself & calls him “Mahatma Lane Fox” laughing at him, proclaiming him crazy etc. ), of Hume, of nearly every one. Finally Subba Row said that unless Dr. H. left Adyar he would resign. All the Hindus refused unanimously to serve on the same Committee with him; and Olcott was notified that unless the Doctor was made to leave many theosophists would resign. A resolution was passed that no one except the executive officers should live at Adyar, and he was made a simple member. But in what shall it prevent him to make more mischief? He writes like St. Augustine twenty epistles a day, corresponds with the best Fellows and wrote only yesterday to the Duchess de Pomar  (Heaven knows what!) Bawajee thinks he asked her for money for himself or perhaps for me. I will surely not accept it, if he has. He goes to Germany to his sister & will set the German Theosophists agog. Such is the state of affairs. Well, as Olcott returned to Adyar the padris came out again. Seeing that they would not force me to sue them and that they had no chance to catch me for perjury or contempt of court; knowing I was sick and almost on my death-bed for nine weeks, and that the Doctor (Mrs. Scharlieb), who came twice a day & declared I would not live much longer (with the Bright’s disease, and heart-disease developing so rapidly), had said that it was impossible under the circumstances that I should appear at Court, since the slightest excitement would kill me suddenly what did they do? Why, they had a stout French woman from Calcutta, who went in various shops & drug stores calling herself Mad. Blavatsky, speak seditiously against the British rule, threaten India with the Russian invasion, abuse the officials etc. Then she was packed off to Calcutta; and the report being set abroad that the T.S. had bribed Dr. Scharlieb, that I was only shamming illness, and could be served with a writ to appear in Court, the padris sent a summons to General Morgan  to appear for defamation of character, as in his pamphlet he calls the Coulombs “forgers” and “experienced forgers.” All this was intended (for the pamphlet was written six months before) to get hold of me. They would have forced me to appear for N against the General & then brought false witnesses to swear that I was a Russian spy or done some such horrible trick. Now Dr. H. who understood that every one was against him & that he had worn out his welcome at Adyar & [even ?] the T.S. began trying to entice me to go for rest to Ceylon or Japan with him; that we would write the Secret Doctrine together etc. I let him go on. I understood (I know it) that he tried to get me into his hands, by setting every one against me, and pretending he was my last refuge and friend. He wanted me as a weapon to break Olcott’s & other heads with. He wants me now to set up a rival & secret occult Society & call around me all the best theosophists! All this I declined or rather said neither yea or no. Then came the secret information that the padris were to sue Morgan & their tricks & the Gen. Council decided to pack me off the scenes, the more so as Dr. Scharlieb said she did not answer for my life if I remained in Madras in my present state of health. The doctor offered to accompany me, believing I would then be entirely in his power and would do for him what I did for Olcott. When accepted, - for the Oakleys and Olcott & especially the Hindus were most anxious to get rid of him - then Master & Mahatma K.H. gave “orders” as you say, not to us but direct to Bawajee to come with me and never leave me to my dying day: to bring me back alive or dead, when the time should come. And Mary Flynn who was on a visit at Adyar, would not let me go alone but insisted on coming out with me. And then I decided, that if I had to go, I would go to Italy and not to Ceylon where I would be still troubled & the Doctor return to Madras - if not to Adyar where the Gen. Council declared he would not be permitted to live any longer. And so, at 24 h. notice I was transported from my bed in an invalid’s chair to a French steamer, and off we went and came here, where barring further developments & events I shall live till October, & then either return or go somewhere else. The Doctor pesters me to write the Secret Doctrine and Master forbids me saying [one ?] word on occultism or writing the smallest thing upon it until matters are settled. Virtually I was kicked out of the Society though of course if Master had wanted me to stop no one could have done so. Remains to be seen what the Occult Doctrine, Society etc. will become without me. I do not care. I am so disgusted with their eternal intrigues, lies, conspiracies and so on that on the slightest provocation I shall resign even my membership & sever for ever all connection with the Society. Olcott prepares, as he writes to me, to sacrifice me for the good & salvation of the Society & firmly believes he is doing what is right. He would not hesitate to sacrifice himself; this I know. Therefore, and unless you think the whole of the above is fabrication & lies - in which case, pray write to Olcott & ask, or even the Oakleys - you must see how unjust you were to us - O. and myself. Judge my friend, I will never forget you. You are poor, without any or much influence, I need you for nothing now that I left the Society - so you may believe me. Beware of Hartmann. Even were you to show or tell him of this letter I do not care an halfpenny damn for him, or anyone else. If he had known and understood me I would have made an occultist of him. He was & is false to me as to every one else. I would not believe, much less trust him on his oath. He believes like Olcott used to and you sometimes also that I am usually a “shell” which becomes good for something only when some one else enters it. Believe what you please. But know that I was ever faithful to my friends & remain grateful for the little they may do for me even when they become enemies. Oh gods what a dirty world what false people! Look at Mrs. Holloway. Do you still admire her? What you mean in your letter to H. by saying that you “hit upon another little matter which places the leaders in the position that either great lies have been told or Mahatmas are absolutely useless as guides” - is a mystery to me. What is it that “happened in London & involved the reception of numerous letters from both Mahatmas” and that Mohini, the Arundales  , O. and HPB know all about it? Is it the Sinnett-Holloway imbroglio, when she bamboozled all of us & tried to bamboozle the Mahatmas but came out second best? When she set Sinnett against Olcott & me & the Mahatmas and O. me & the Arundales against Sinnett etc. etc? I do not know what you mean. If you are still a friend you will write to me & say it; if not do as you like. But know that General Howard L.C.H.’s pious friend, is in the padri conspiracy against us he & his Y.M.C.A. I do not believe that “chelas could project letters” in the Mahatmas name without their supervision or knowledge. When done it is always by their Master’s “orders” at which you are now made to laugh. Lane Fox wrote a letter from Calcutta to Hartmann in which says he has “met a chela of K.H.” sent to him to tell him that “the Founders having betrayed the sacred trust given to them by the Mahatmas, having mismanaged the Society and failed in their duty” the Mahatmas were going “to entrust him (Lane Fox) with the reforms in the Society”, and kick out, I suppose, the Founders. L.F. believed in it implicitly & thereupon went to Ladak. It was Mohini’s brother who translated for L.F. the wise & truthful speech of the Mah. K.H.’s chela - who proved a chela of the Almora Swami, Hume’s ex-and late guru & a humbug. Yet even his action was permitted by the Masters for purposes of their own. Ah, my poor Judge, how deceived & bamboozled you have been only neither by O., myself, D.K.M. nor any one else but our witty D. Hartmann! You do not know - though by this time you ought to - what a hard, arduous task is probationary chelaship. You have failed once before, and still the Master was ready to receive you back. You went to Adyar and fell into the snares of a jealous, envious, cunning, malicious and wicked man. May the Master - who I know pities you - be permitted to forgive your weakness & lack of trust in those who have always [loved ?] & regarded you as a brother. Were there no “Masters” would I, after what you say of us, and, your leaving Adyar & us in the lurch, still love you? What would I care for your opinion & what you may say - a drop added to an ocean of abuse. It is, because Master is my barometer & I blindly trust in Him even when I do not understand His policy, & when to all intents & purposes He is the first to sacrifice me and allow most cruel things to befall me, that I am what I am - only a capricious “howling” old woman in the sight of the blind - always an Upasika , acting under “orders” in the eyes of those “who know” - ever so little [even?]. Good bye, my poor Judge and do not reject the friendly & true hand I extend to you. Use your own judgement, never that of those who have an interest in mixing up the cards. H. will not end well - you will see, and I pity him profoundly. He is his own executioner. I wish you could hear once how, with what contempt & sneers he speaks of you, who believe in him. He going to edit a paper on Buddhism? I should say not. Buddhists of Ceylon all hate him and Sumangala, nor any other eminent Buddhist of Ceylon, will ever write a line for him. They told me this themselves. Why they should hate him I do not know, but they collectively sent a request to Olcott not to send Dr. Hartmann to Ceylon. They won’t have him. At this point Mr. Michael Gomes, the transcriber, adds a note: “John H. Judge, married to the eldest daughter of the medium Mary Hollis Billing”. As the transcriber indicates, this is a reference to Sir Mountstuart Elphinstone Grant Duff, Governor of Madras in 1881-86. That is, under the influence of Franz Hartmann. Baboola: H. P. B.’s servant. Michael Gomes clarifies that Garskin was a government official in Madras and mentions Blavatsky’s letter to Mr. Hodgson, in “The Letters of H.P. Blavatsky to A. P. Sinnett”, TUP, pp. 94-95. The transcriber adds: this is the Countess of Caithness of the theosophical lodge in Paris. Bright’s disease - a common designation for various kidney diseases. The transcriber says this is probably a reference to Sarah Cowell of New York. As to ‘Wimb.’, it stands for Edward Wimbridge, one of the earlier members of the movement.